Bruno van den Elshouts’ New Horizons is a book worth some consideration here. The book is an exceptional object and the result of an equally exceptional process. Throughout 2012 every hour of each day the same frame was shot from a hotel roof at the Dutch coast. The book contains some 400 images selected from the more then 8700 that where made. Every image depicts just sea and sky and the horizon in the exact middle. The story is purely told through images. There is no text, not even a caption gives a hint. A meditation on the values of space and tranquillity. The book is big, thick and heavy. Once you take it out of the slipcase it is pristine white. Not even a cover to distract you. And every page opens flawlessly. 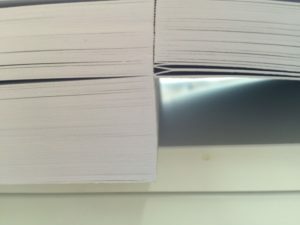 The book is bound using the so-called flatbook method. 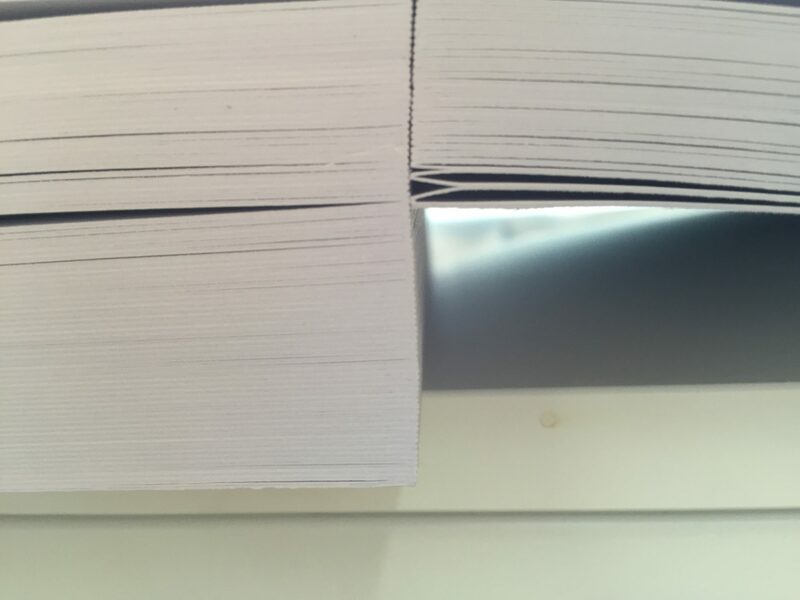 With this binding method the book is constructed by fully laminating two sheets of paper to form one page. If you do this page after page and carefully align the folds of each spread you get a book with carton like pages that lies flat completely. No sewing thread or glue that makes the spine stiff and ruins the spreads. The construction so empowers the enchanting potential of this book.